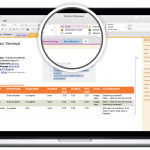 Microsoft Office for Mac has always been playing second-fiddle to the Office for Windows productivity suite, where the Windows operating system is also the product of Microsoft. As the result, Office for Mac always lacks advanced functions, contains fewer features, less comprehensive, less intuitive and less polished in UI when compared to its sibling for Windows desktop. Rightfully so. Why would Microsoft be kind to users of rival platform? So it’s not surprising that Office for Mac 2011, the latest version of Office available for Mac OS X, hasn’t been updated for almost 5 years. But with Office 2016 for Mac, Microsoft apparently has a change of heart. In fact, Microsoft has added cross-platform support to its popular Office productivity suite, from iOS (iPhone, iPad and iPod touch), Android phones and tablets, to universal Office apps on Windows Store and Dropbox. 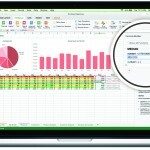 Office for Mac 2016 is another effort by Microsoft to cement their dominant position in the lucrative Office productivity software segment, especially in light of increasing popularity of computers running Mac OS X in the businesses and corporations. 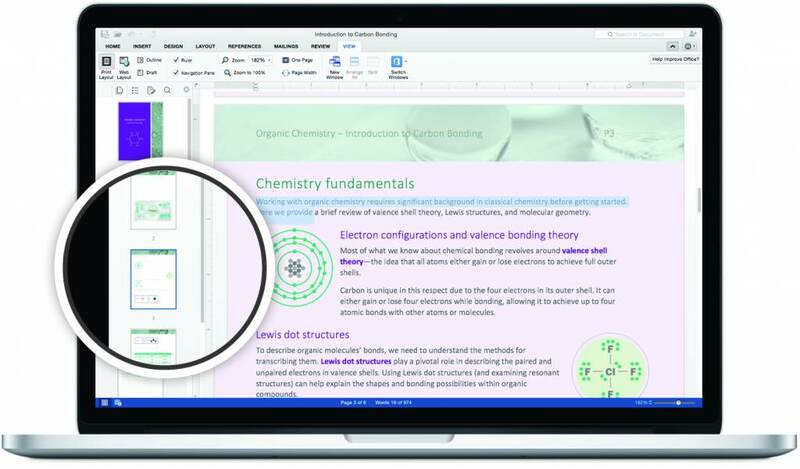 As a teaser, and probably to win back the heart of Mac community, Microsoft is releasing the preview version of Office 2016 for Mac available for free download from early March 2015. 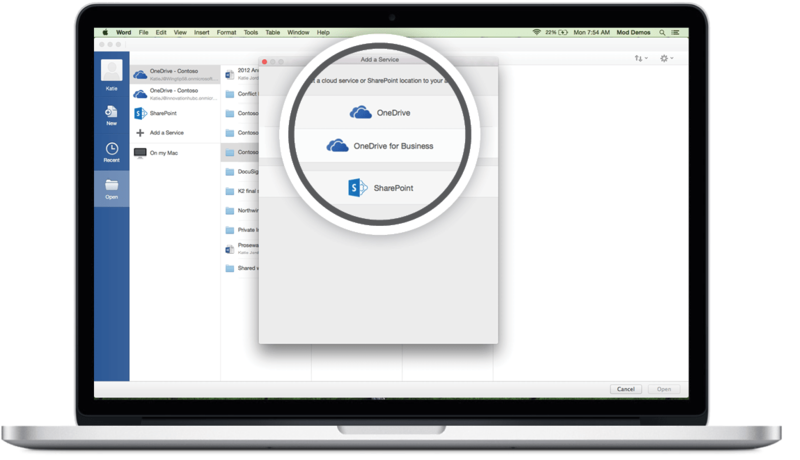 According to Microsoft, Microsoft Office 2016 for the Mac is powered by the cloud so you can access your documents on OneDrive, OneDrive for Business and SharePoint at anytime, anywhere and on any device. 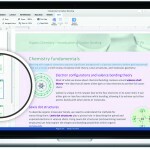 Office 2016 for Mac shares an unmistakably Office experience–but it is also thoughtfully designed to take advantage of the unique features of the Mac. The new apps offer full retina display support with thousands of retina-optimized graphics, full screen view for native immersive experiences, and even little Mac affordances like scroll bounce. Redesigned ribbon intuitively organizes features so you can quickly find what you need quickly. 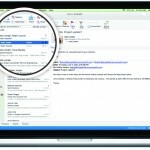 Refreshed task pane interface makes positioning, resizing, or rotating graphics easy. Word 2016 for Mac: design tab allows you to manage layout, colors and fonts across a document. Word 2016 for Mac:navigation pane helps you refine the document structure and efficiently navigate to points of interest. Word 2016 for Mac: threaded comments turn editing cycles into conversations. Excel 2016 for Mac: enhancements to charts, graphs, keyboard shortcuts and data entry enhancements (like formula builder and autocomplete). Excel 2016 for Mac: support for Excel 2013 (for Windows) functions ensures that you can easily share files across platforms. Excel 2016 for Mac: new Analysis ToolPak offers a wide range of statistical functions, including moving averages and exponential smoothing. 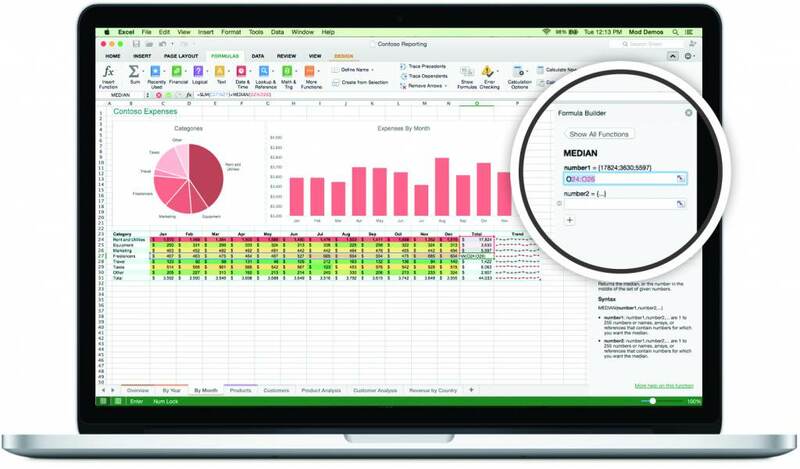 Excel 2016 for Mac: PivotTable Slicers help you cut through large volumes of data to find patterns that answer questions. PowerPoint 2016 for Mac: new Presenter View displaying the current slide, the next slide, notes and a timer on your Mac, while projecting only the presentation to your audience on the big screen. PowerPoint 2016 for Mac: new animation pane helps you build your presentation faster. 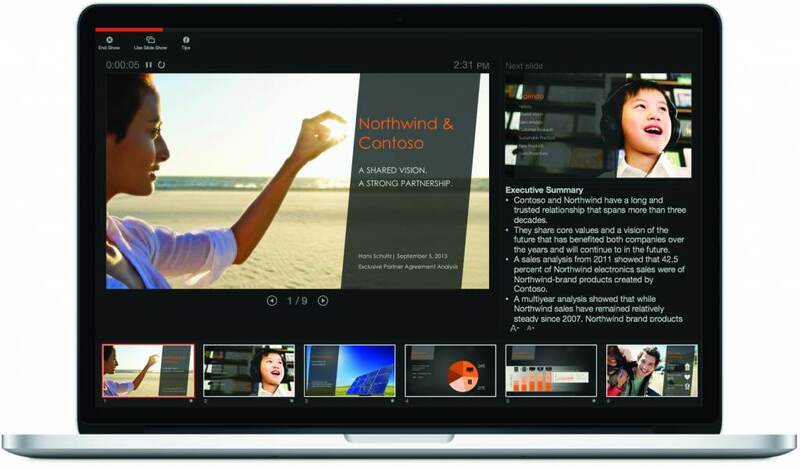 PowerPoint 2016 for Mac: new slide transitions ensures the finished product is polished and professional. 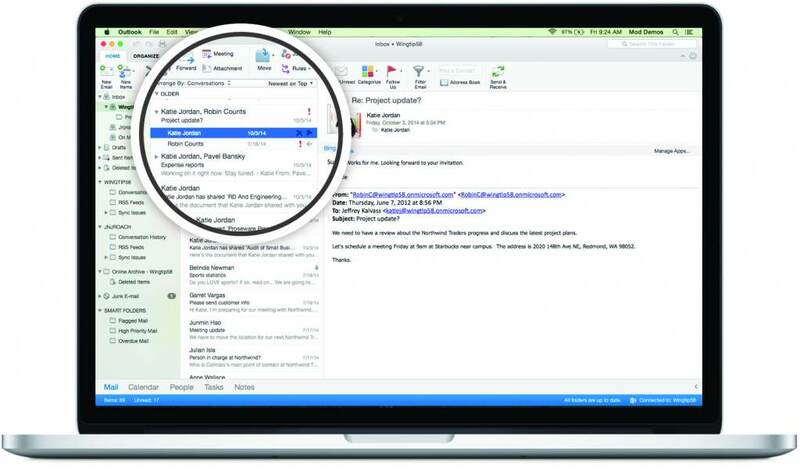 Outlook 2016 for Mac: push mail support to deliver an always-up-to-date inbox. Outlook 2016 for Mac: improved conversation view automatically organizes your inbox around threaded conversations. Outlook 2016 for Mac: new message preview gives you the first sentence of an email. OneNote 2016 for Mac: Use tags to add structure to your notes. OneNote 2016 for Mac: search engine tracks your tags and indexes your typed notes. OneNote 2016 for Mac: uses OCR to recognize text in images and handwritten notes. 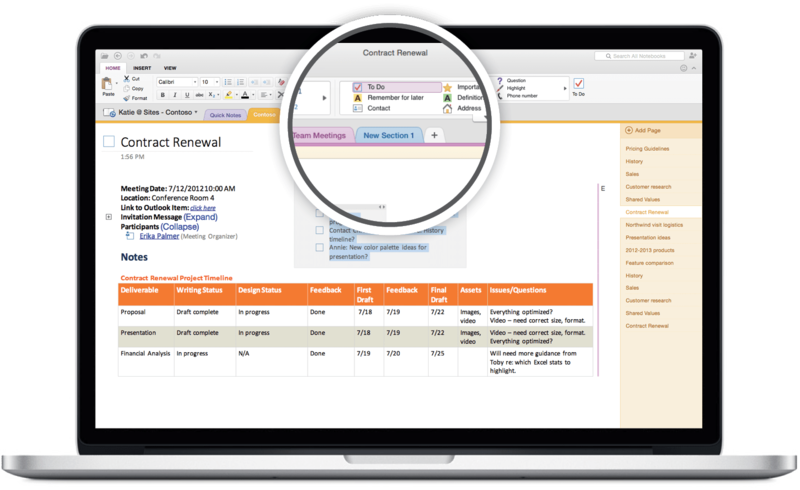 Office 2016 for Mac includes updated versions of Word, Excel, PowerPoint, OneNote and Outlook. Office 2016 for Mac Preview will receive regular updates via a notification from Office for Mac Auto-Update tool. Every build will expire roughly 60 days after the it’s posted, while the last preview build will continue to function for roughly a month after our official launch date, which is expected in the second half of 2015. 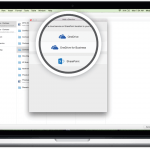 After that, you will need to purchase a license key to active the RTM build of Office 2016 for Mac, or has a Office 365 subscription which included desktop software. To download and install the Office 2016 for Mac, visit http://products.office.com/en-US/mac/mac-preview or you can directly download the bits here. Office for Mac is officially supported on machines running Yosemite (10.10). You may need to find the Office 2016 for Mac apps under the Applications folder on your Mac. To do so, go to Finder -> Go Menu -> Applications -> Find the relevant apps. Once you have found the app you want, either double-click it directly or drag it to your Mac Dock and double-click from there. Unfortunately, Microsoft doesn’t release any preview for Office 2016 for Windows desktop yet (Update: Office 2016 Preview is now available for Windows), even though both 32-bit (x86) and 64-bit (x64) versions of Office 2016 for Windows (Office 16) has leaked and available to download from Internet or BT torrents for several months.